Located less than an hour from St. Louis, inspire and motivate your team in the heart of nature at Innsbrook! Unlike a hotel boardroom with a view of the highway, Innsbrook offers a beautiful, peaceful setting, which encourages new ideas, solutions and plans. 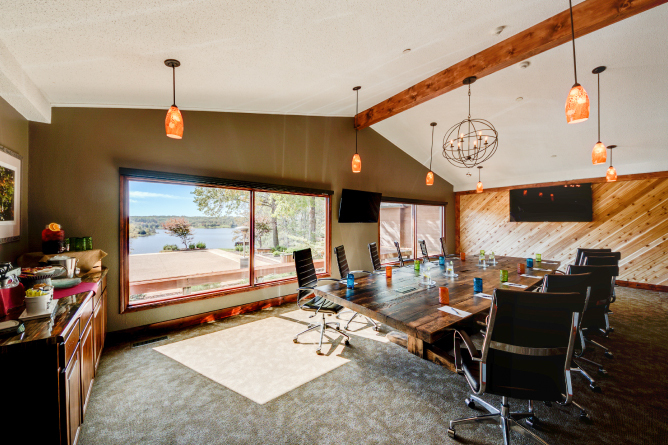 Our upscale rustic event center is the perfect place to hatch your next big idea or plan for the year ahead. Find the perfect accommodations for your team with our preferred vendor. Whether your group is looking for a five-course gourmet meal or a theme dinner, our staff is ready to serve. Some conferees like to take advantage of our beautiful natural setting by coordinating all or part of their meetings outdoors. Our helpful and friendly staff can also help coordinate team building events for your group that range from an inspiring nature hike to an afternoon of golf.